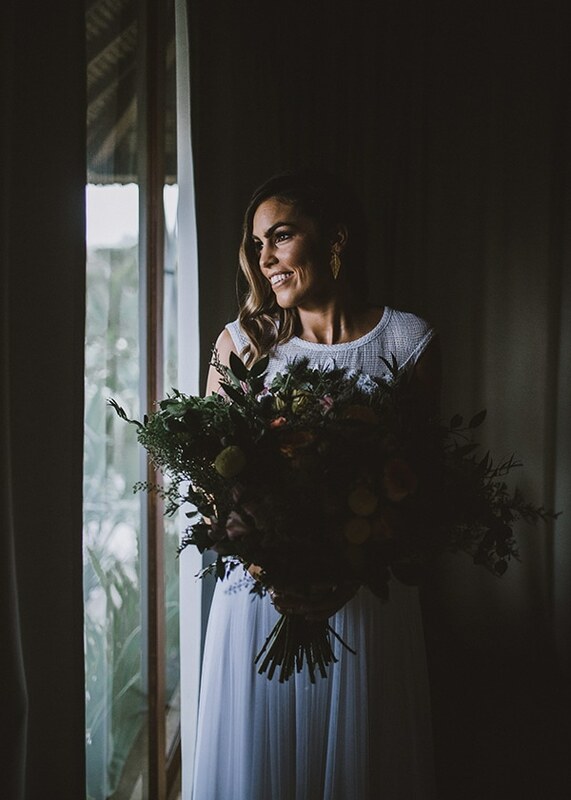 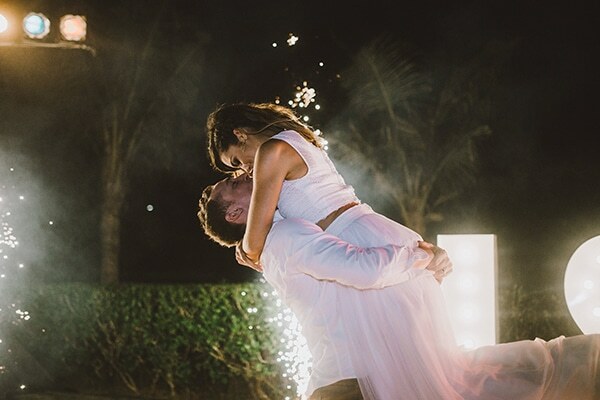 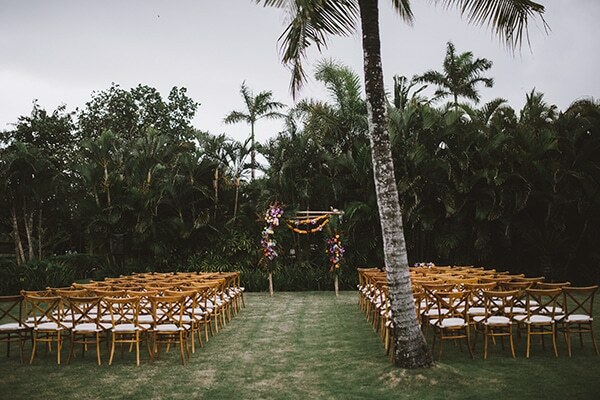 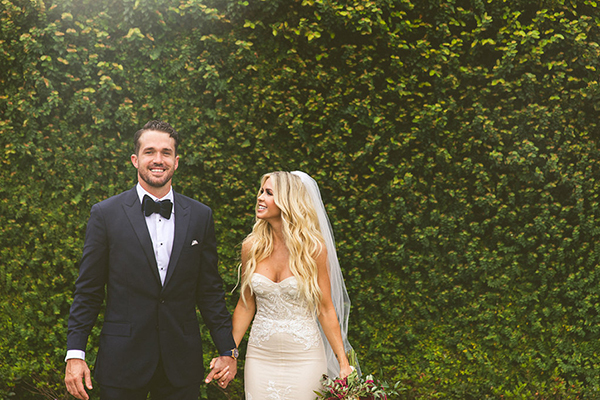 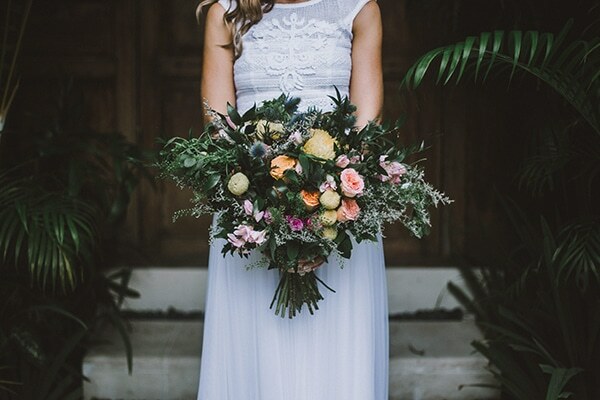 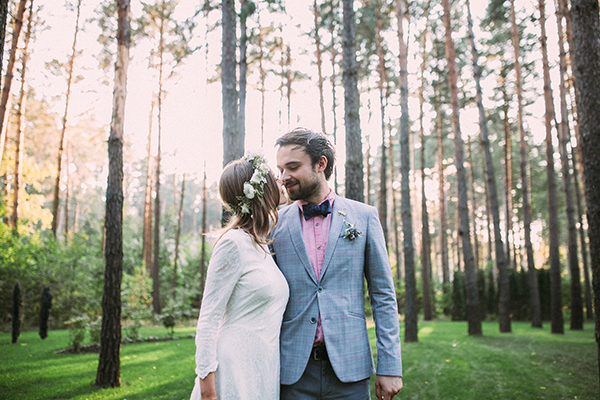 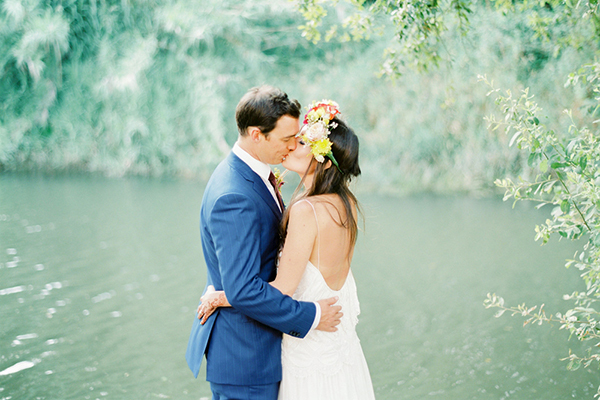 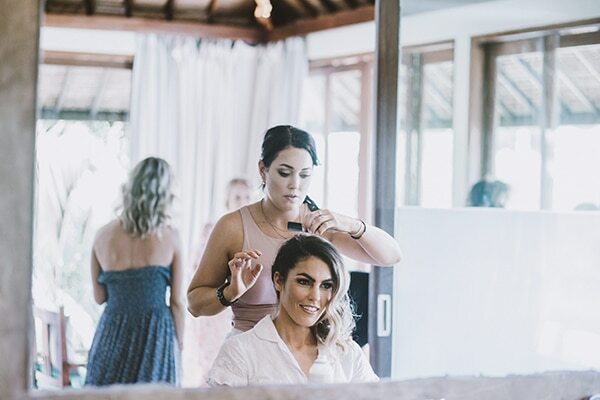 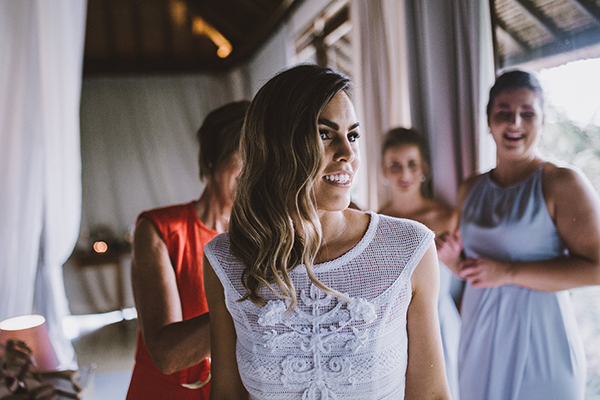 Carly and Nick’s wedding could not have been any more gorgeous! 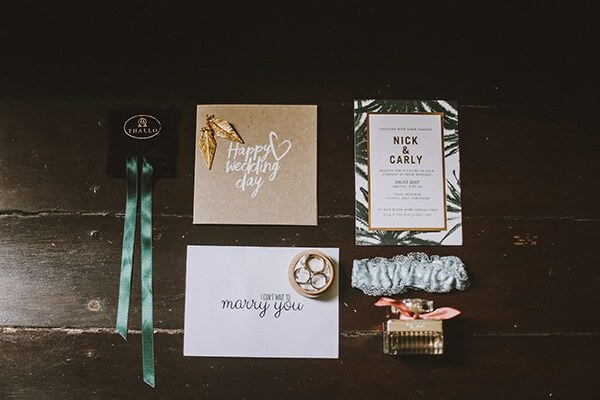 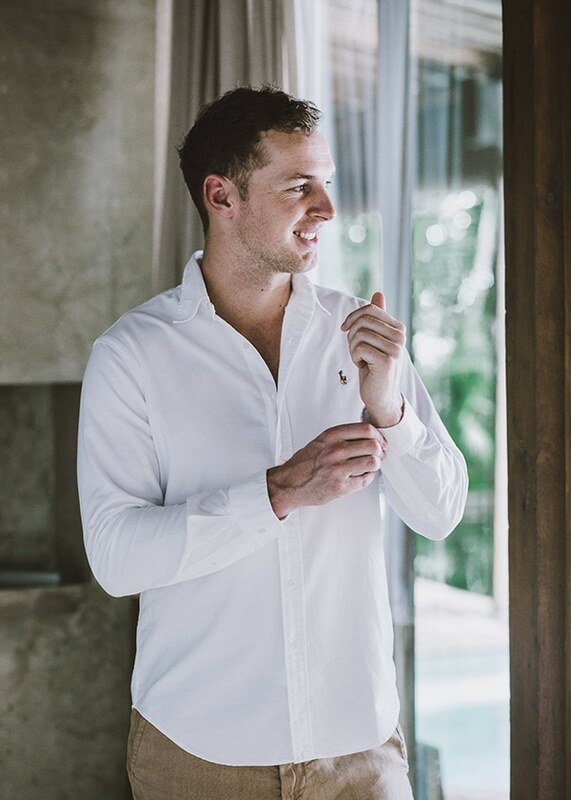 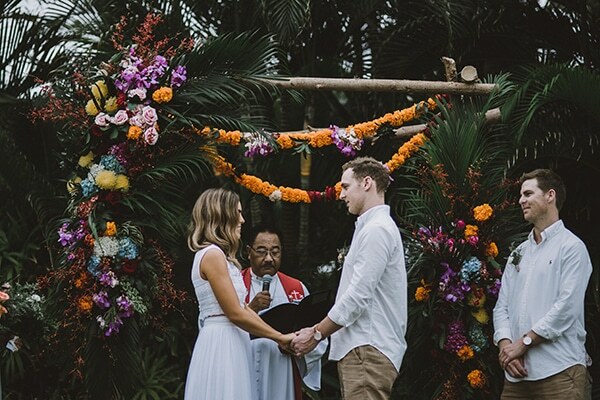 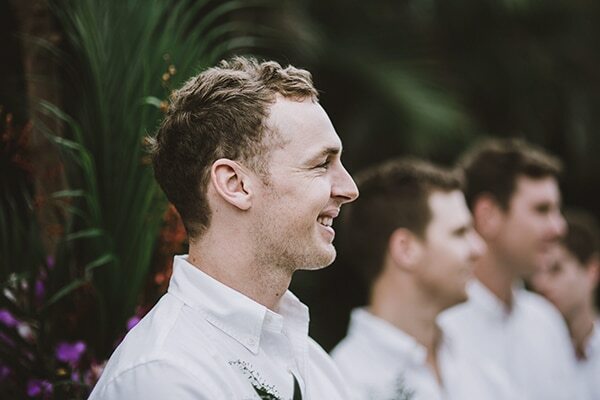 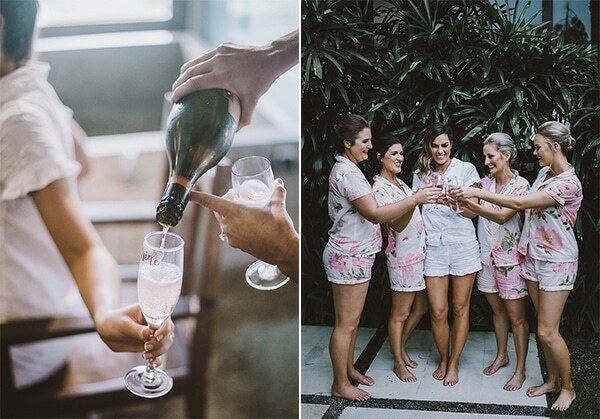 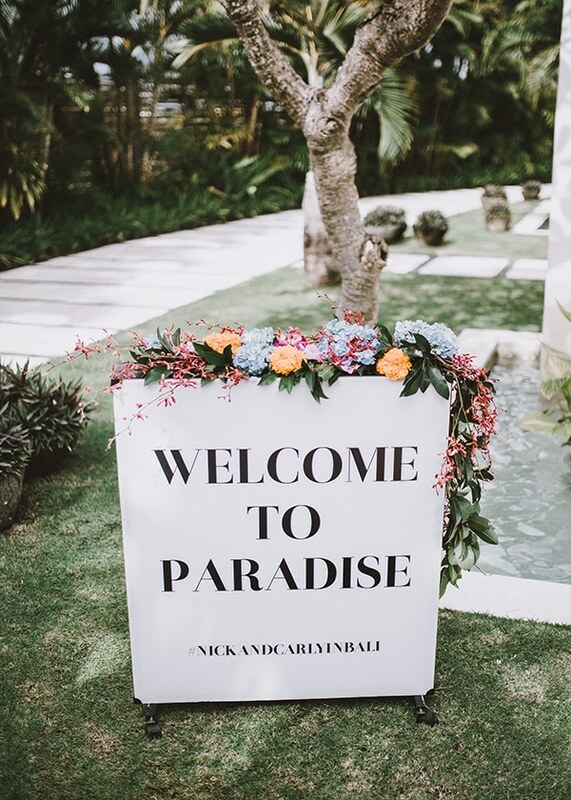 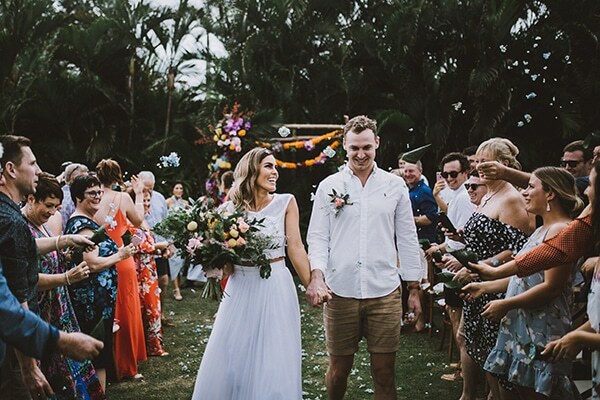 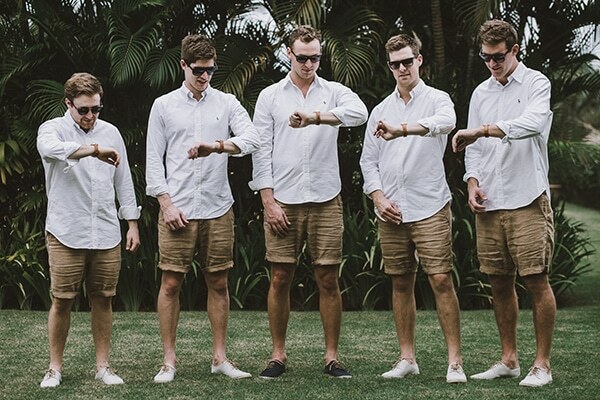 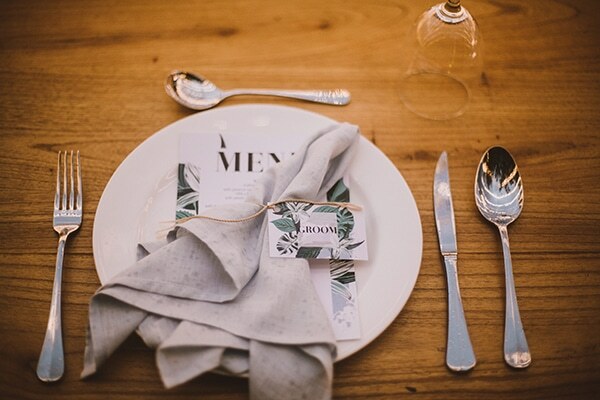 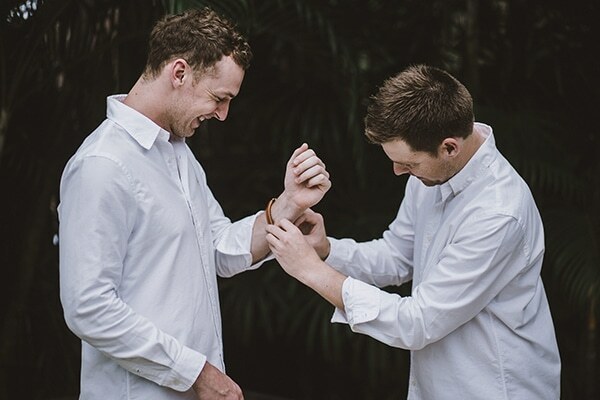 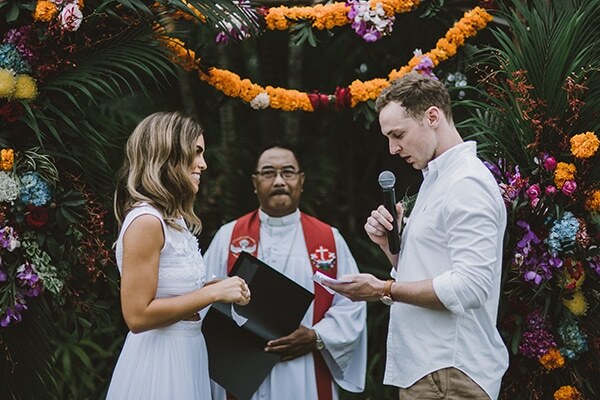 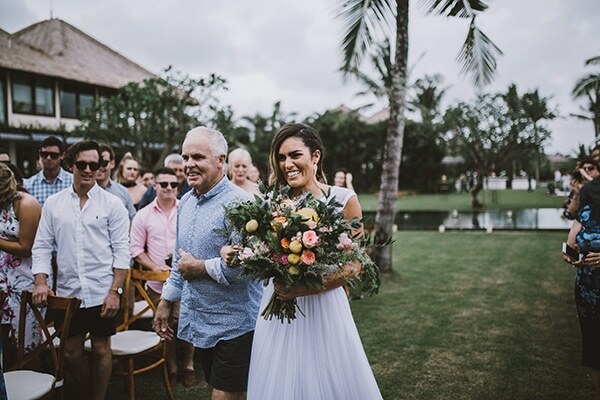 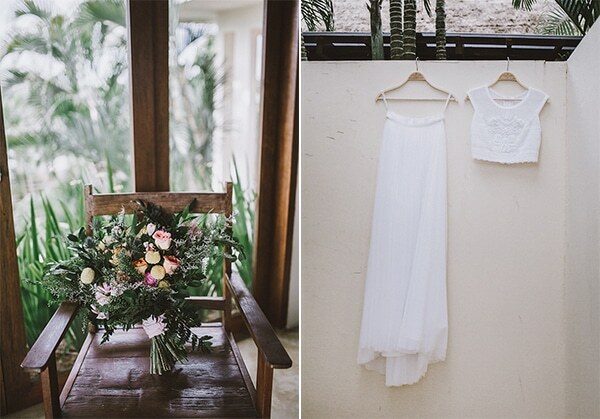 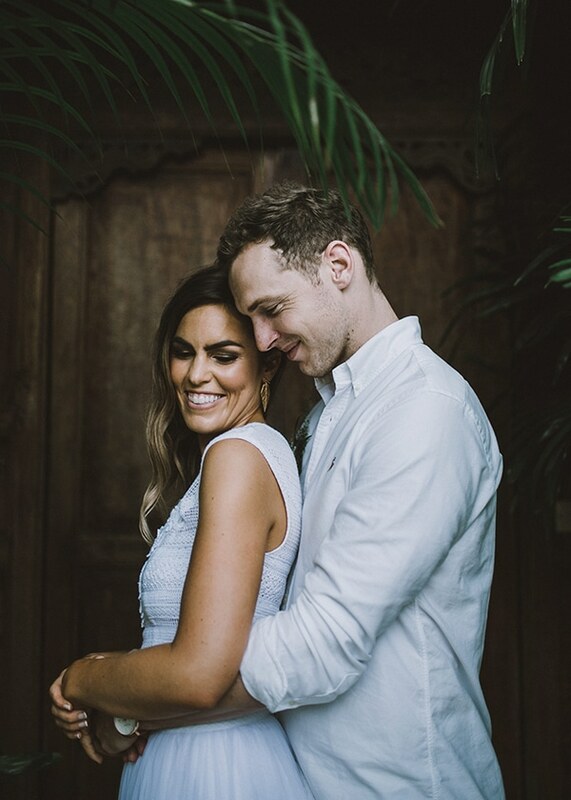 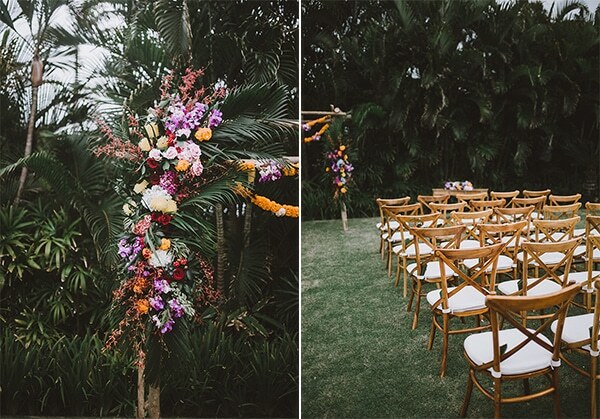 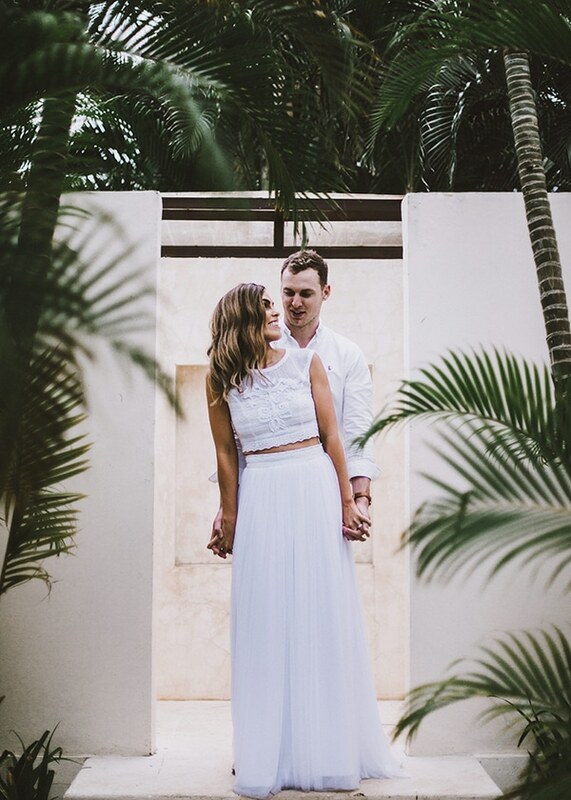 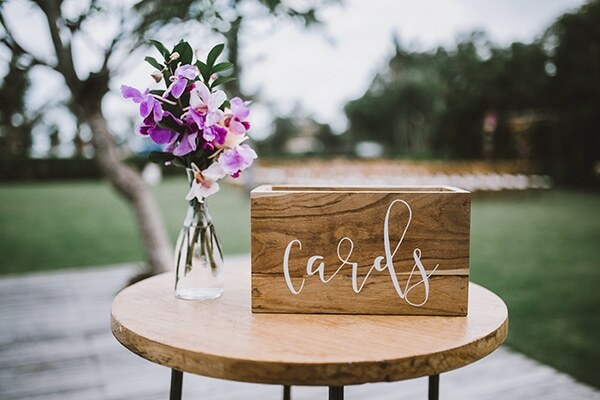 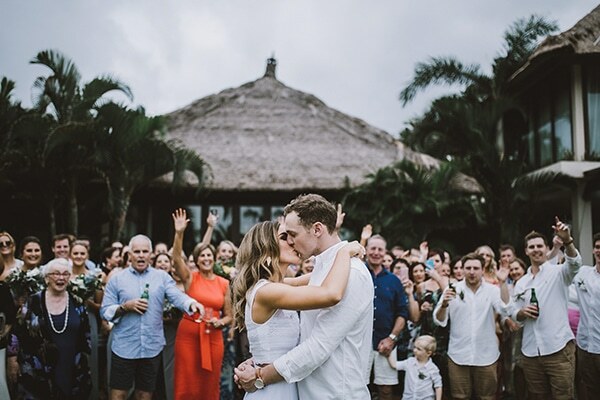 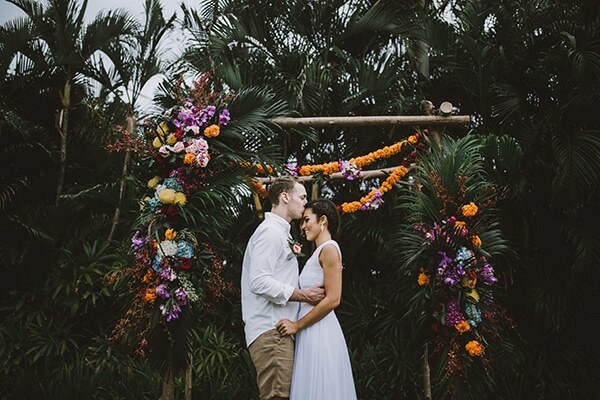 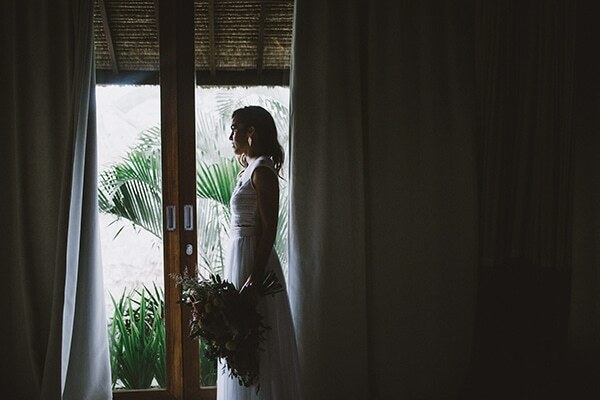 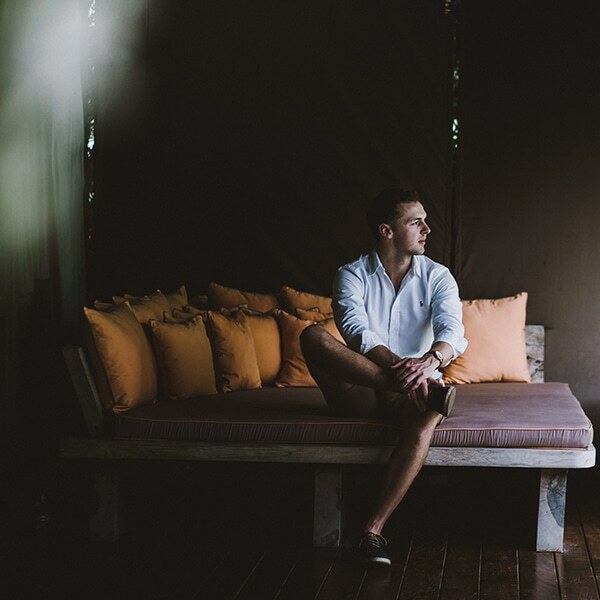 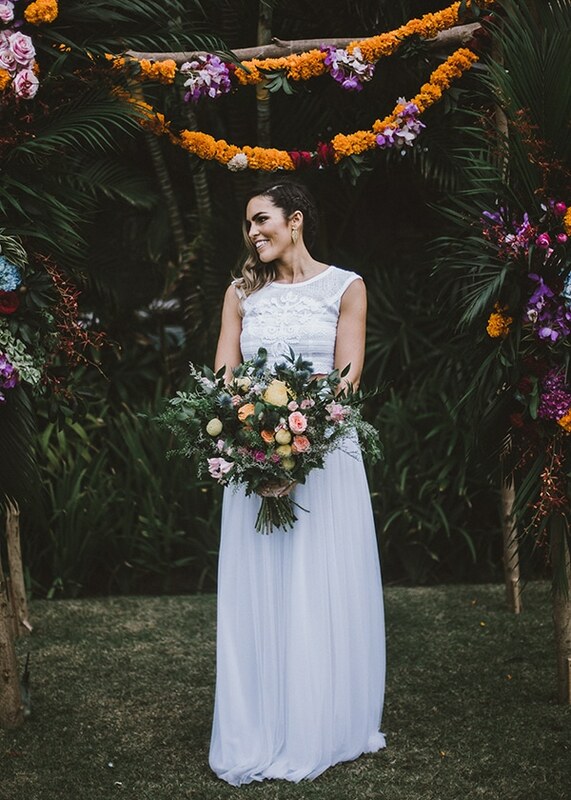 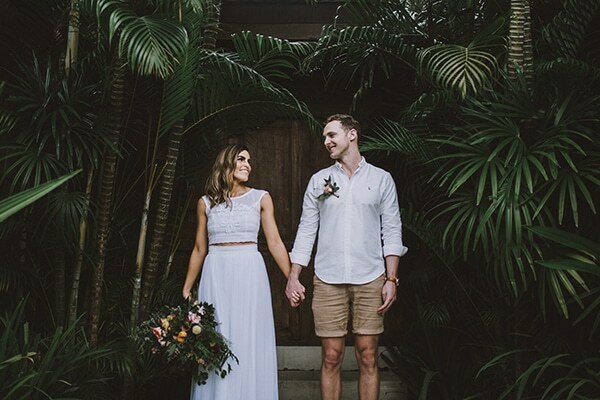 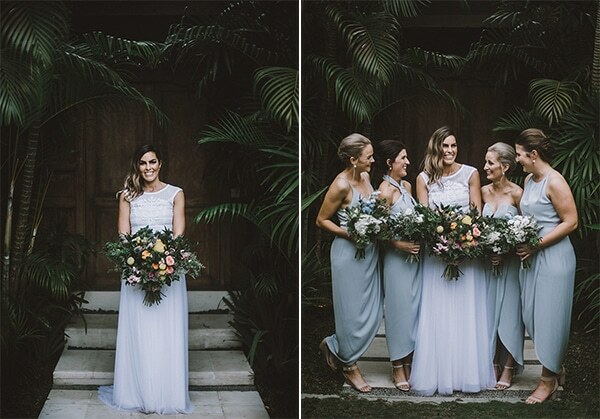 This beautiful couple had an inspiring wedding held at Bali island, a tropical location full of greenery plants, palm trees and unique buildings. 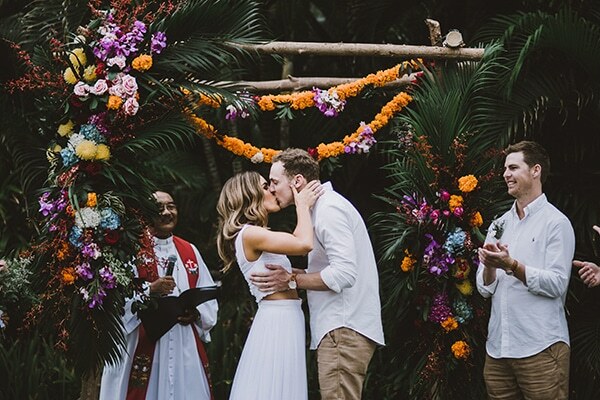 The two lovebirds exchanged vows in front of an impressive, wooden arch adorned with garlands and flowers in different, vivid colors. 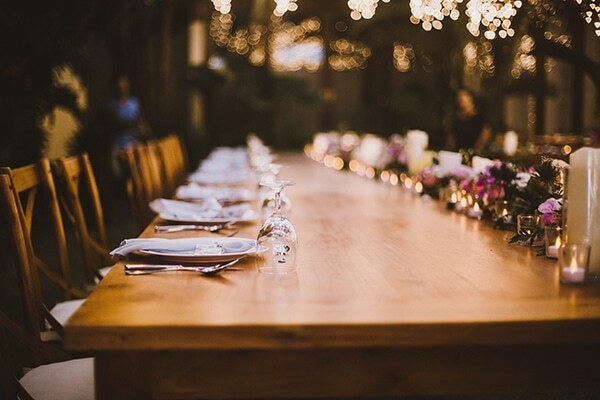 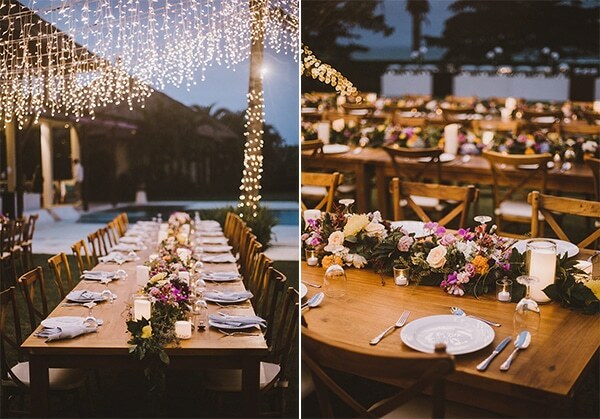 After the romantic and so unique ceremony, the couple, their family and friends had an atmospheric dinner under the light of many fairy lights and candles. 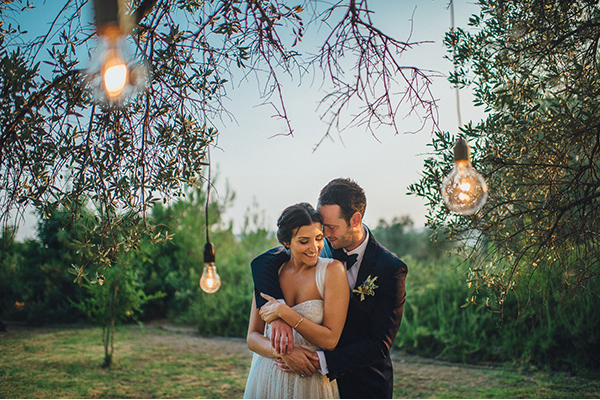 Check out the following photos and feel completely transported in an idyllic place that you’ll love!